The tenant has moved in and they are paying their rent on time, so why would a landlord want to waste time or money with periodic inspections? In our opinion, whether you do it yourself or use an agent, you should always ensure that your rental properties are inspected. For the team at Campions the purpose of an inspection is to evaluate the overall condition of a property. We consider it an early warning system: it lets us know a property is being looked after and the tenant is not living in such a way that a property will get damaged; it also allows us to spot potential problems such as slipped roof tiles or the build up of condensation damage caused by the tenant’s lifestyle. You or your agent will look at a property in a way that your tenant will not and inspections allow issues to be addressed before they become costly problems. Many tenants also use them as a forum to raise any minor issues that they have not got round to picking the phone up about. We write to tenants beforehand and try to arrange the inspection when it is convenient, respecting the fact that the property is their home. The landlord gets a report after the inspection and the tenant also gets feedback, so people know what is happening. The software we use allows us to take photos of anything we want to keep an eye on and makes sure we have a really good record of the condition of the property. At Campions, we inspect our managed portfolio every 3 months as a rule. For some longer-standing tenants we may do it less frequently but quarterly is a good starting point. Any more often and your tenant may feel their enjoyment of the property is being affected and less frequently could mean that what starts as a minor problem has become a major one between inspections! 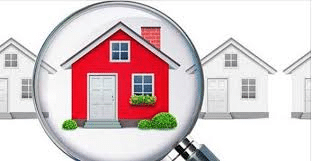 In summary, inspecting rented property is a must for us and something we would never advise against.